We work full time with the resort and only book fishing trips through them. 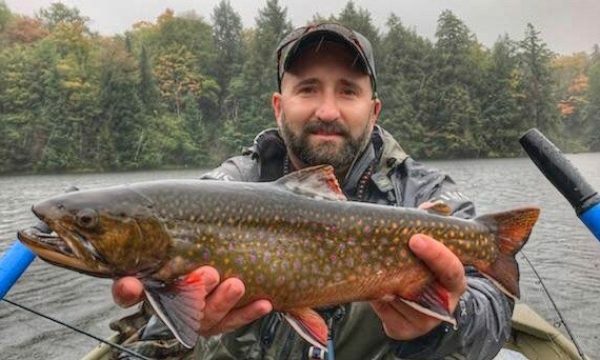 THE HUNGRY TROUT remains as the premier fly shop and guide service of the Northern Adirondacks. For 25 years the Hungry Trout has provided anglers with the most diverse guiding opportunities and top of the line fly fishing provisions. From SIMMS, RIO, MFC, NAUTILUS, UMPQUA, FISHPOND, SCOTT RODS, R.L WINSTON and more, the Hungry Trout can fill your needs. The best flies and proper rigging and not to mention a good spot, they will make sure you’re headed in the right direction. Their goal is to increase your confidence, self-reliance, and success on the water so that your experience exceeds your expectation. 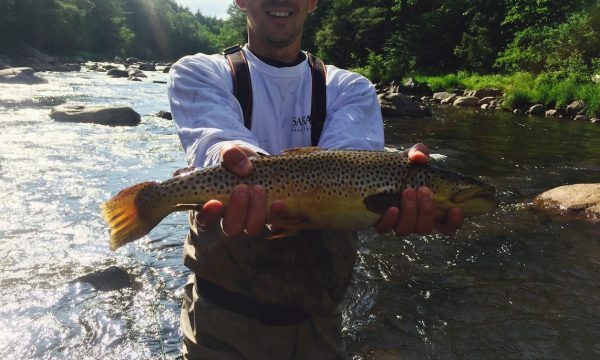 To book a fly fishing trip with one of our guides, contact the Hungry Trout Resort. 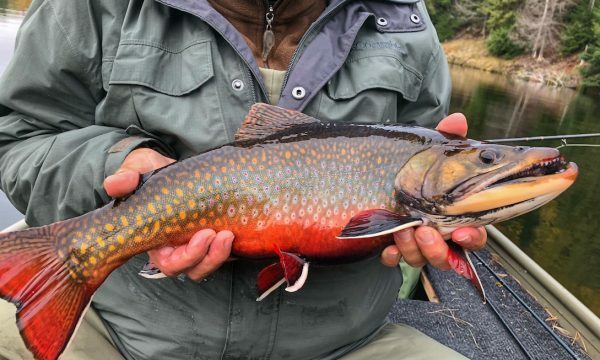 A very private 2,000 acre wilderness area, our Brook Trout fishery, Twin Ponds, contains over 600 acres of remote, connecting channels and ponds loaded with wild and aggressive Brook Trout up to five pounds! For 30 years, the Hungry Trout has been proud to offer our guests full day, guided boat trips to this spectacular fishery. Twin Ponds is very dear to our heart at ADK Outdoors. We have had the pleasure to produce some legendary fish in this exceptional fishery. 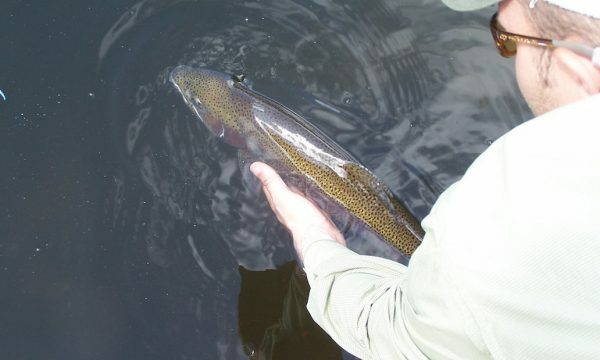 Time after time our clients have landed the largest book trout of their lives with us at Twin Ponds. 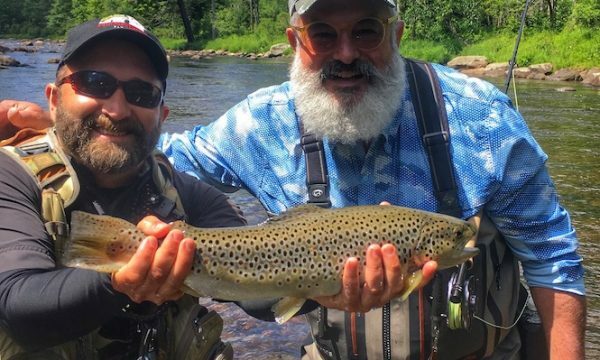 Offered exclusively through the Hungry Trout, this trip is only available on guided trips. 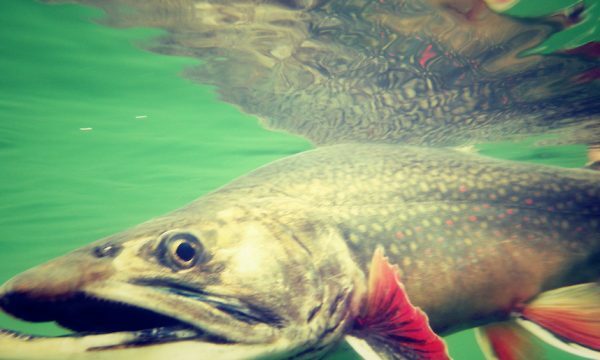 Call the Hungry Trout now to reserve your chance at the brook trout of a lifetime! > > > Reserve early as this package is limited to only 1 group per day. Half day trips offer a great introduction to the river. 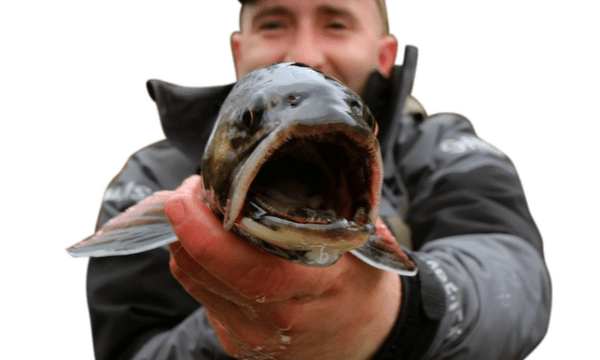 These trips are a favorite with families, friends, or couples who want to explore more of the area and don’t want to spend the entire day fishing. 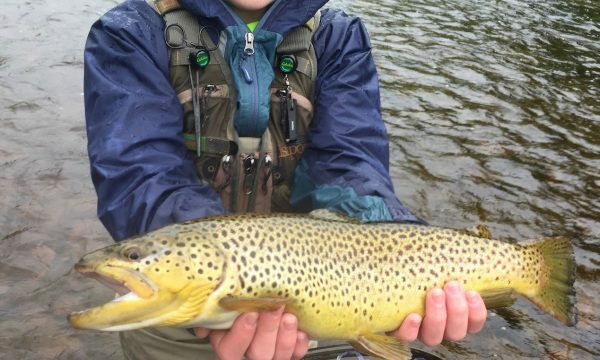 Full day trips at the hungry trout are the perfect way to enjoy a day on the river. 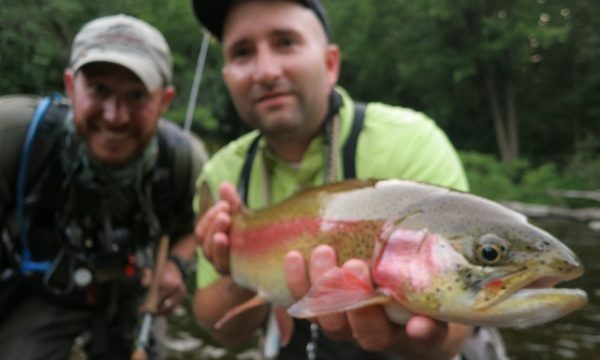 Guides spend a full day with you teaching you the ropes in addition to simply putting you on the fish. 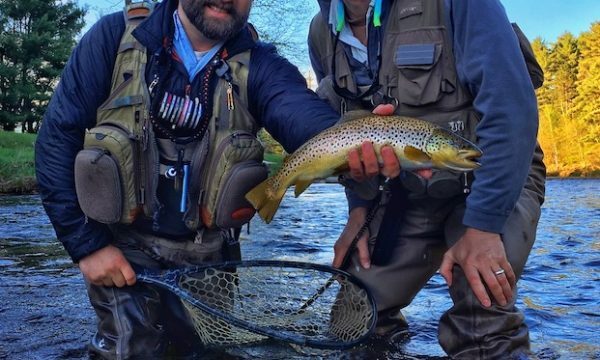 The team of guides at the Hungry Trout is undoubtedly the best in the region. Full day trips include lunch. 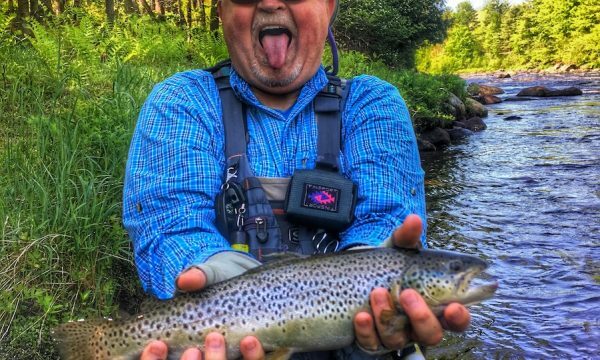 Overnight fishing trips with the Hungry Trout undoubtedly are truly a memorable experience. Spend the day wade fishing through remote sections of the river and later end each day at a comfortable camp set up by the staff. Furthermore, gourmet meals are provided each day riverside. Accordingly, all you have to do is show up and fish. 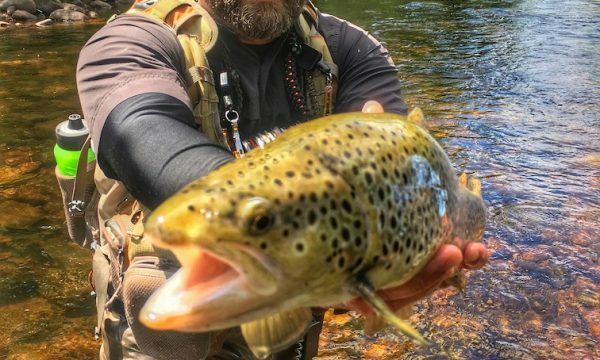 The Hungry Trout offers overnight trips in two locations. 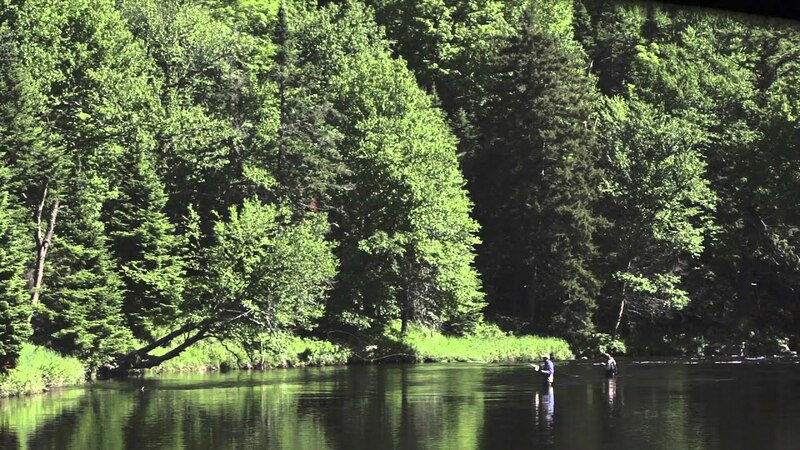 The legendary Bush Country stretch of the Ausable additionally with Twin Ponds Brook Trout Preserve. Camps are comfortable and outfitted with individual tents, cots, and sleeping bags. All of this in a plush setting with power and fresh cooked meals. Call 518-946-2217 to secure a spot for an overnight trip.